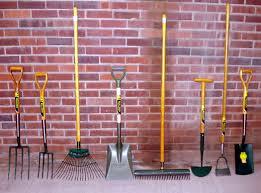 THIS IS ONLY A VERY SMALL SELECTION OF THE MANY TURF CARE TOOLS AVAILABLE. T.S.L. OFFER A WIDE RANGE OF TOOLS FROM LEADING MANUFACTURERS SUCH AS: BULLDOG – SPEAR & JACKSON – WILKINSON SWORD & CHELWOOD. AERATION FORK – Aeration fork frame, strongly made to take 3 tines. 7” Hollow tines – DRAG BRUSHES 4ft & 6ft – Strong bristles for scattering worm casts and dew, excellent for working in top dressing. Reversible with replaceable brushes. – DRAGMATS 3ft, 6ft, 9ft widths – All steel reversible mats for working in top dressing. – LEVELUTES 2ft 6ft & 2mtr – Light, east to use and reversible. Steel, two man, ideal for bowls clubs. Aluminium, quick way to work in dressing. TELESCOPIC SWITCHES – CMW Complete Switch – A light but sturdy switch, complete with hand grips. – TACIT Complete Switch – A strong turf switch with a unique lpull and lock fixing device. – ROLLER SQUEEGEES 3ft & 6ft Water removal tools, which do not damage turf or effect the playing surface. – TURF REPAIRER – 9” square cut with replaceable blades – SAREL ROLLERS – Heavy steel construction, available in 1ft and 2ft widths.